Among the most successful pen families Montegrappa has issued, Fortuna has struck a chord with a young, urban clientele that appreciates its combination of modernity and classicism. 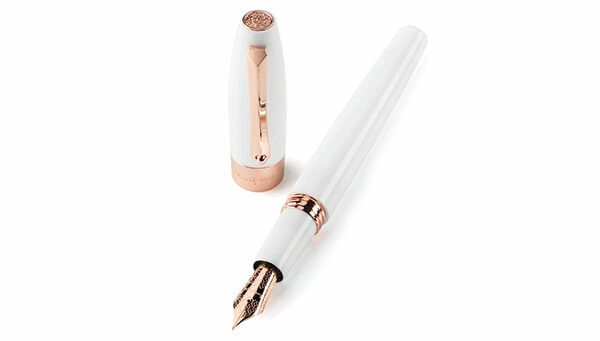 The family of pens was named after, the Goddess of Fortune, the personification of luck according to the ancient Romans. For the coming season, Fortuna is offered in white resin with rose gold or ruthenium trim. With the modern, stark white body accented by either the luxurious pink hues of the rose gold trim, or the elegance of contrasting black ruthenium, the effect is never less than bold. 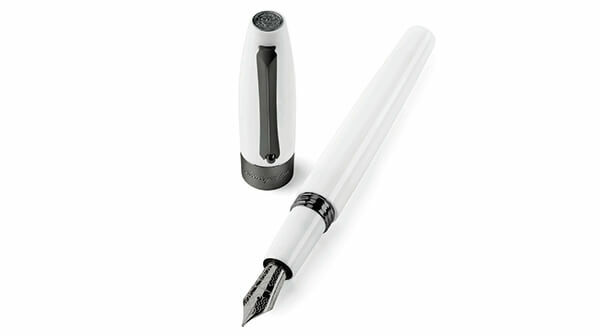 The fountain pen’s stainless steel nib is available in one of three widths, to suit the user’s writing preferences.